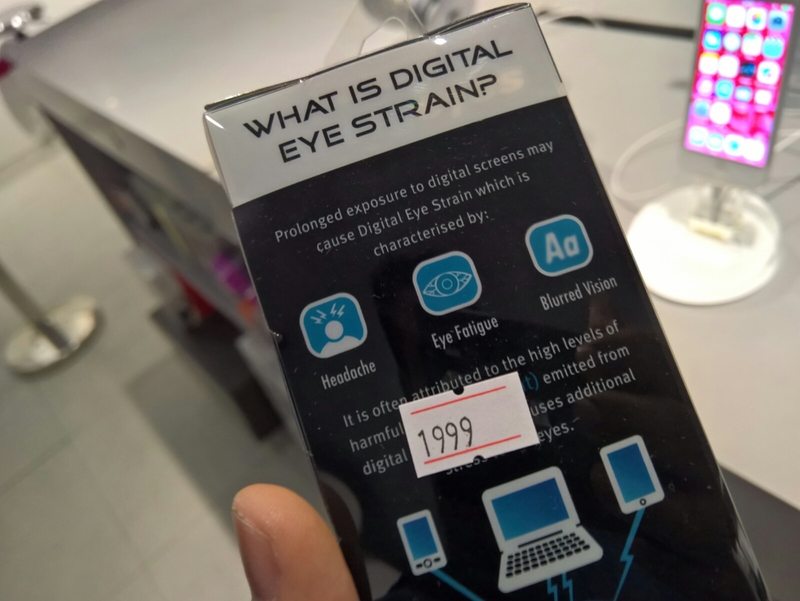 A few days ago we posted about new glasses that reduces harmful blue light and digital eye strain called Energeyes, but we didn’t really know what they looked like or how much they cost. Well, because we were curious and we were at Shang by chance – one of the places where it’s sold – we decided to investigate. Thankfully, the staff at iStudio pointed us to them after a bit of explaining what they are. 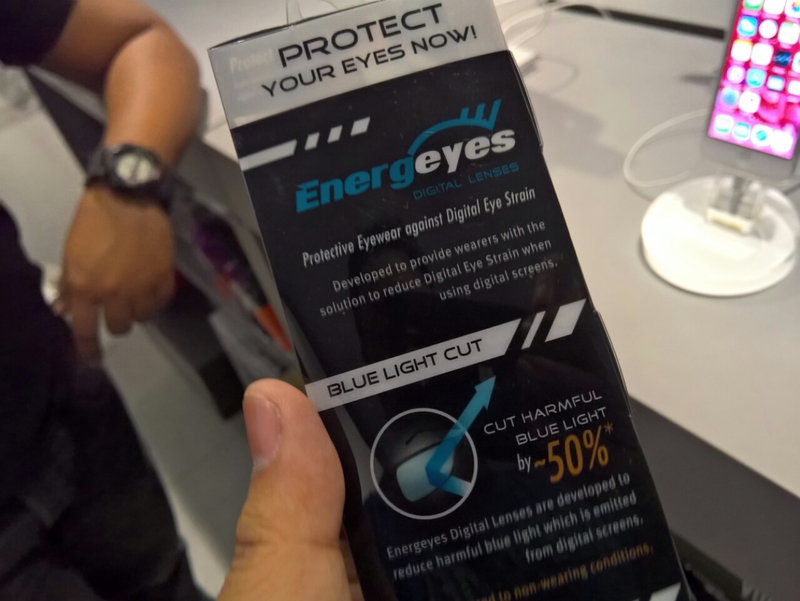 So here you go: pics and price of the Energeyes products we saw. The units, priced all at PHP 1,999 looked to be made of sturdy matte black plastic on the outside, while sporting a light color on the inside such as pink, blue, and green. 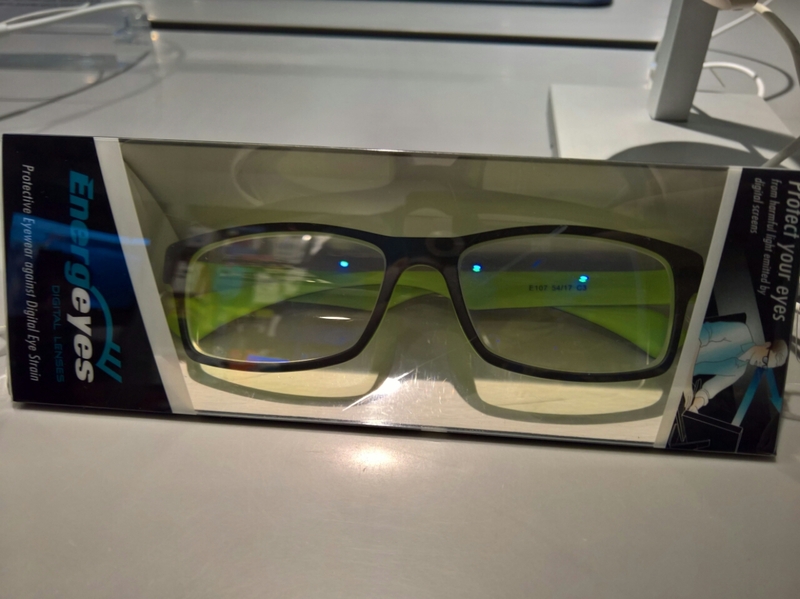 The design is similar to a Ray-Ban wayfarer, but looks a little smaller. 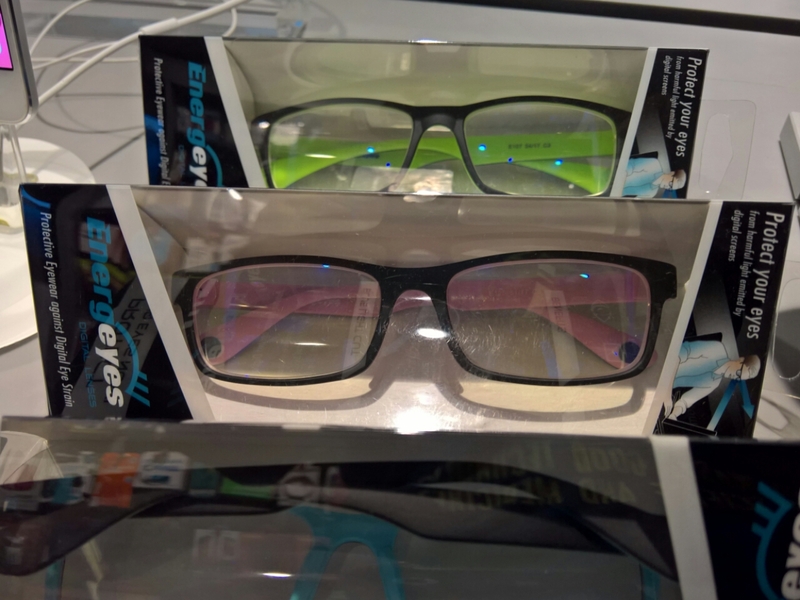 The lenses themselves look clear with no apparent tint, unlike the Gunnar gaming specs brand that you’ll predominantly find with an orange hue. We don’t know which approach is better, but you can probably get away with wearing non tinted glasses in more casual occassions as opposed to orange. Lastly, the salesman who assisted us told us the units arrived back in December and he remembered that there were more circular designs before – which possibly all sold out. Anyway, now that you know what they look like and how much they cost, are you willing to check them out? We were tempted to grab one ourselves but only wish they came in darker colors – as the bright ones look too summery. And us gamers like dark colors, don’t we?